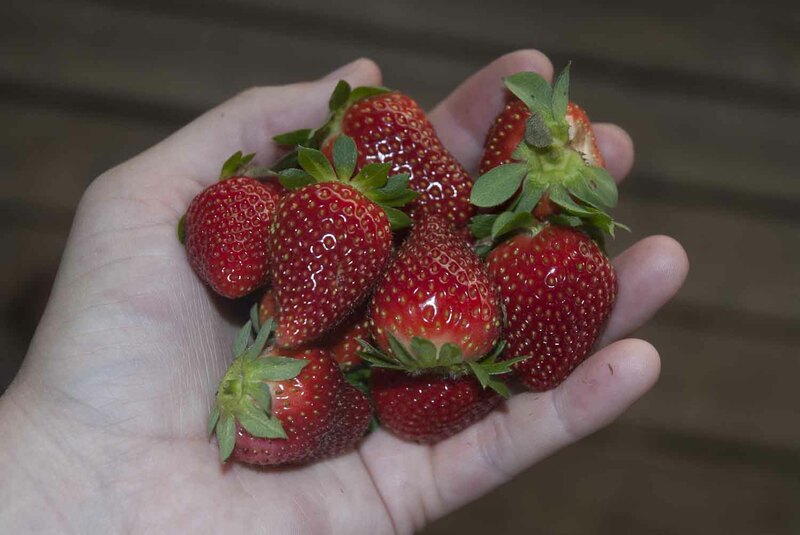 We have been harvesting lettuce spinach and strawberries this week. We have been dealing with a strawberry thief as well. 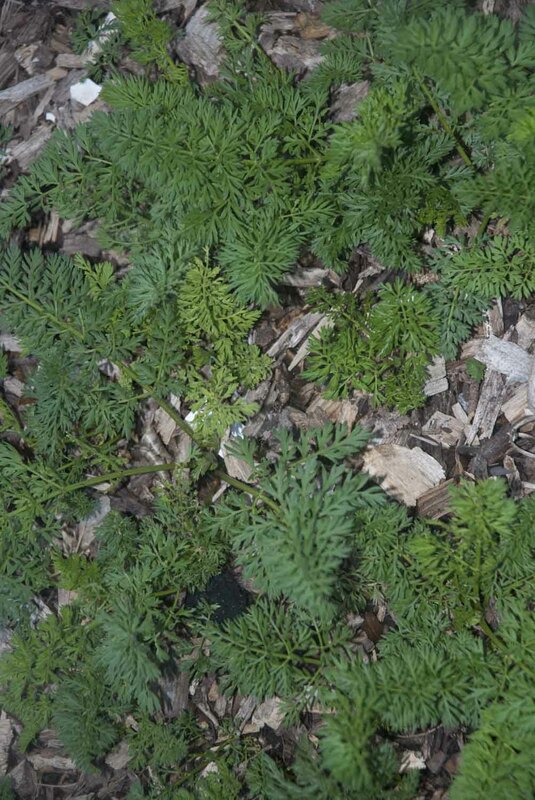 Last year, we were sure it was a groundhog because we saw it roaming throughout the garden. So this year, we put up an electric fence. Something was still getting to the strawberries. My husband thought maybe a rabbit, since it can hop over the electric fence. So we put up a fence (not electric) specifically around the strawberries. Nope. They are digging a hole under the fence and getting to the strawberries. They dig a hole about 5 inches deep so we are still thinking rabbit. We think a groundhog is too big to fit in a hole that size. I need to borrow my neighbor’s camera so we can see the critter in action! Another thing we’re ‘harvesting’ is poop (I’ll spare you the picture). I am taking fresh manure from the roosting table and spreading it out in the sun to dry. When it dries, I’m going to sprinkle it around the base of the plants so when it rains, they will get manure tea. I am also making my own manure tea and watering the plants with it. Anything I can do to make my soil and plants healthy! This is how I am planning on combating bugs this year. What are you harvesting? 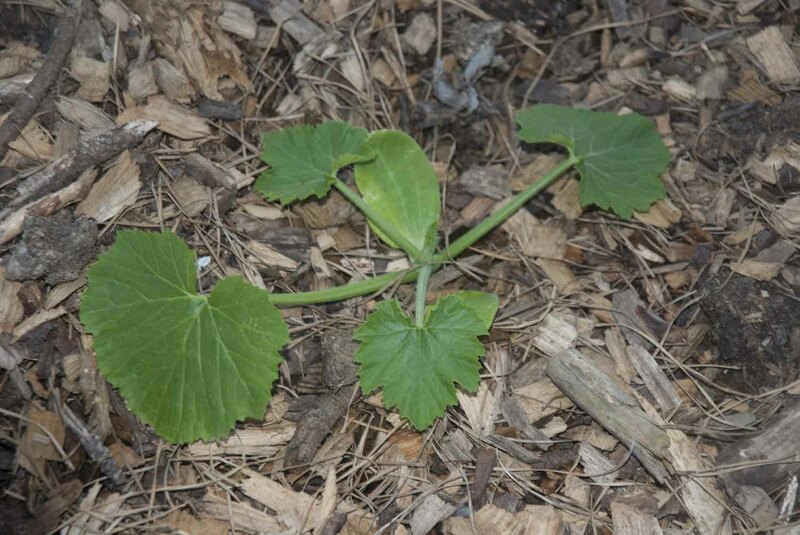 Check out what other gardeners are up to over at Our Happy Acres. 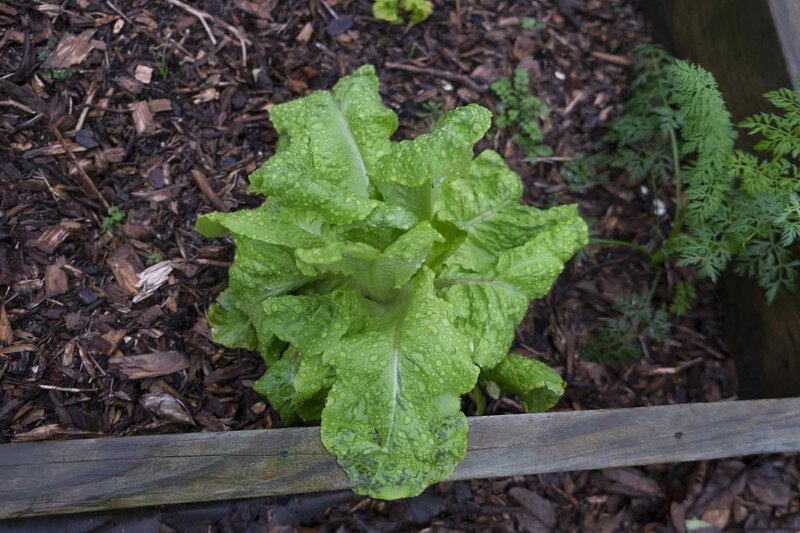 This entry was posted in Garden and tagged lettuce, spinach, strawberries on May 16, 2016 by newbiegardengirl. Sooooo…it’s been awhile, huh? Sorry about that. 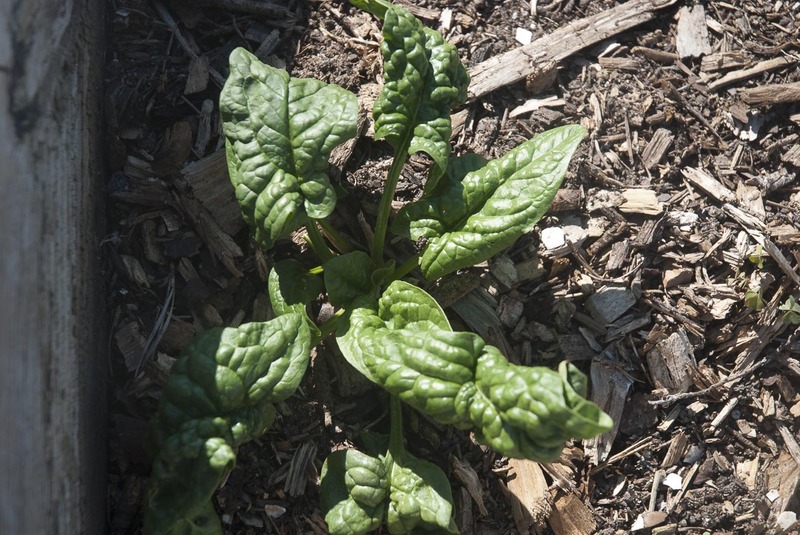 The problem I’m running into is that the garden has gotten so big…I’m having trouble figuring out how to blog all that is going on! 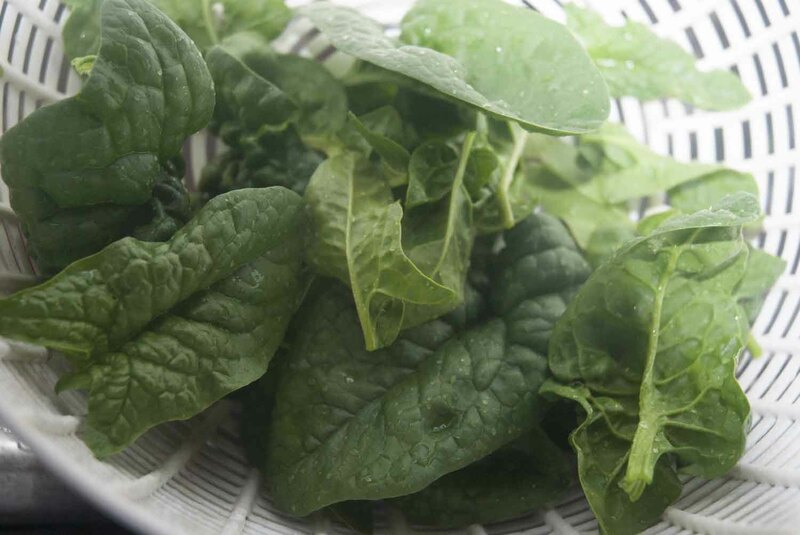 We are harvesting lettuce, spinach and strawberries right now. The groundhogs are somehow finding their way into the garden, despite the electric fence and are eating about half of the strawberries but we are working on other ideas. I’ll try to do a better job at keeping you updated throughout the summer 🙂 How is your garden growing? 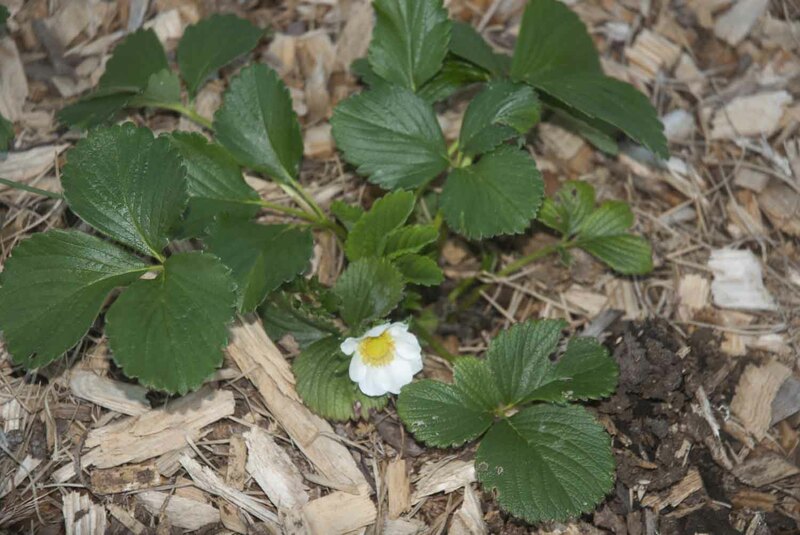 This entry was posted in Garden and tagged strawberries, you tube on May 12, 2016 by newbiegardengirl. Garden at the beginning of April Sooooo much has changed already! As we walk through the garden, you can see to the right, the fencing has been taken down and in its place is a big mound of mulch. 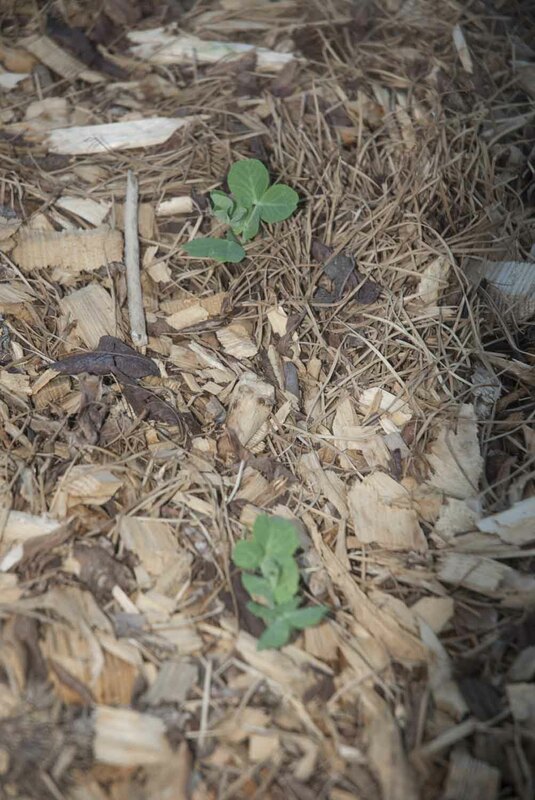 That mound of mulch is one of our many potato patches. Behind it are some brassicas I transplanted from the greenhouses. To the left of that are some winter squash and nasturtiums that were transplanted from the greenhouses. 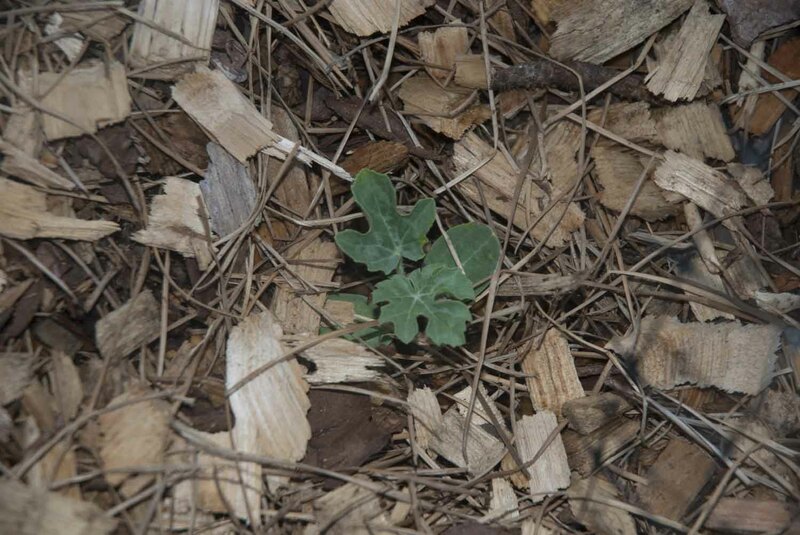 As we continue, there is another patch of brassicas. 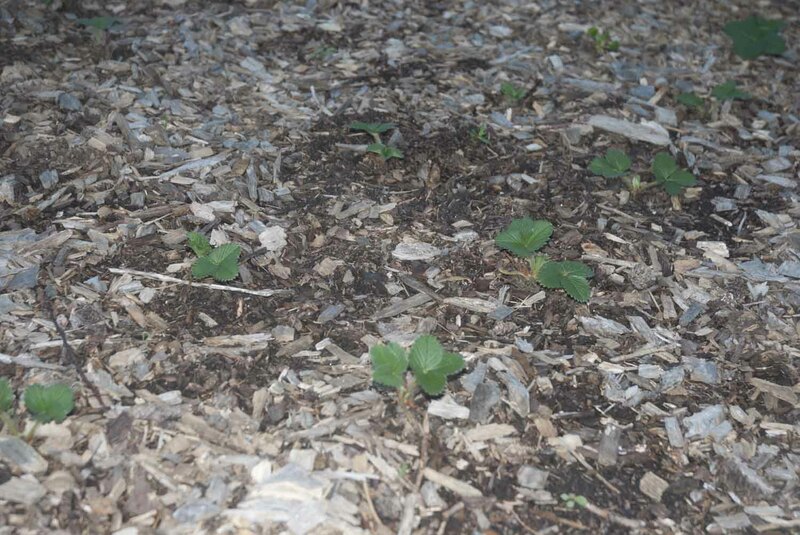 Sorry for the blurr…These were transplanted from the brassicas that overwintered on accident (brassicas I planted and had planned on transplanting last fall but never got around to it). I am definitely doing this every year! I put a shade cloth over them to protect them from bugs but nothing to protect them from the cold. It seemed as though they died but they came back this spring! I thinned them out and planted them in the cover to the left. I am going to transplant the rest this week. Between the two covered areas, I planted peas. 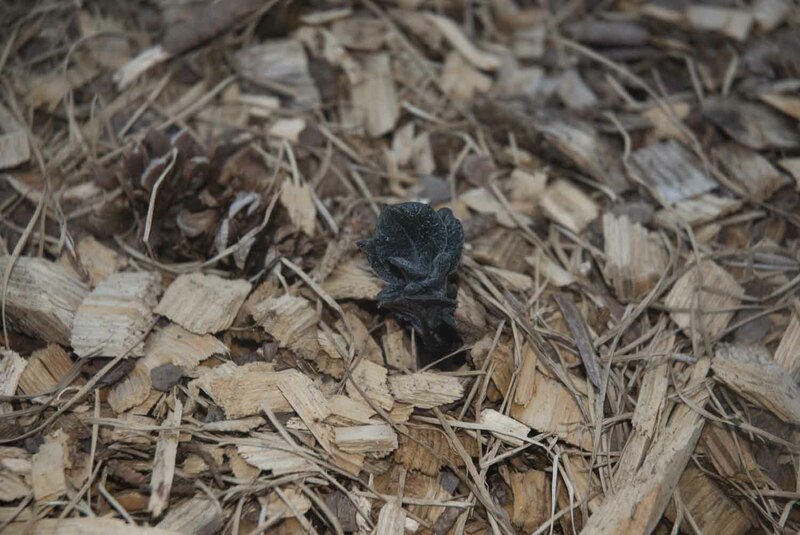 they are just starting to push through the mulch. And the purple sprouting broccoli under the cover to the right are doing well (as well as some cilantro that overwintered). 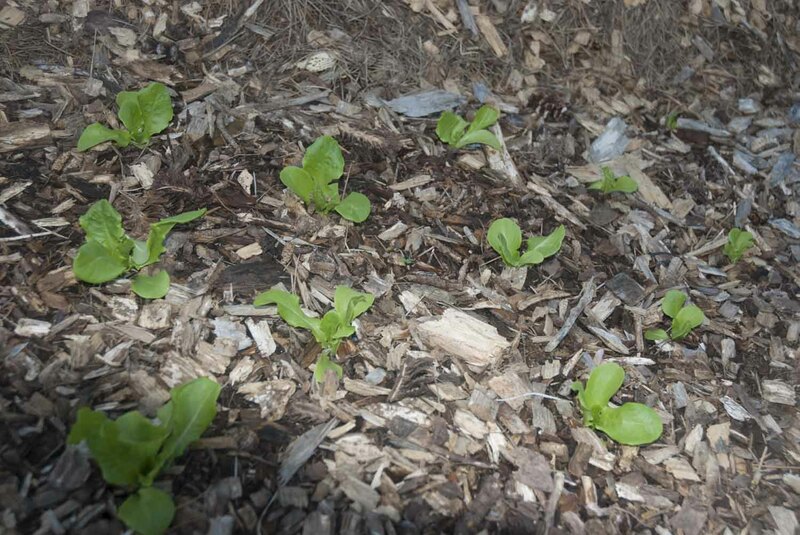 The next section has some more potato patches, some lettuce I transplanted from the greenhouses, and boxes. In the boxes, I have some eggplant and tomatoes, transplanted from the greenhouses, some overwintered spinach and carrots, and more potatoes! We moved the old chicken tractor (we grew tomatoes on this last year) past the boxes and are going to grow different types of melons over it this year. 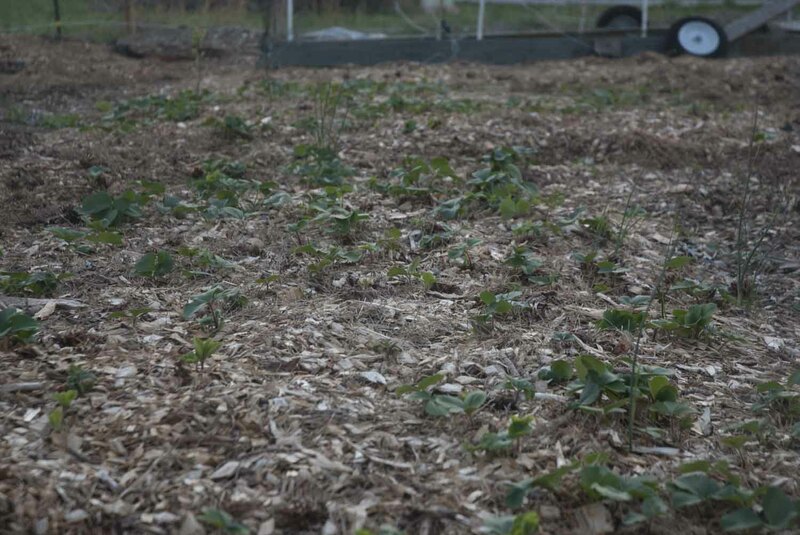 To the right of the chicken tractor is another patch of brassicas aaaaaaaaaand…another potato patch! 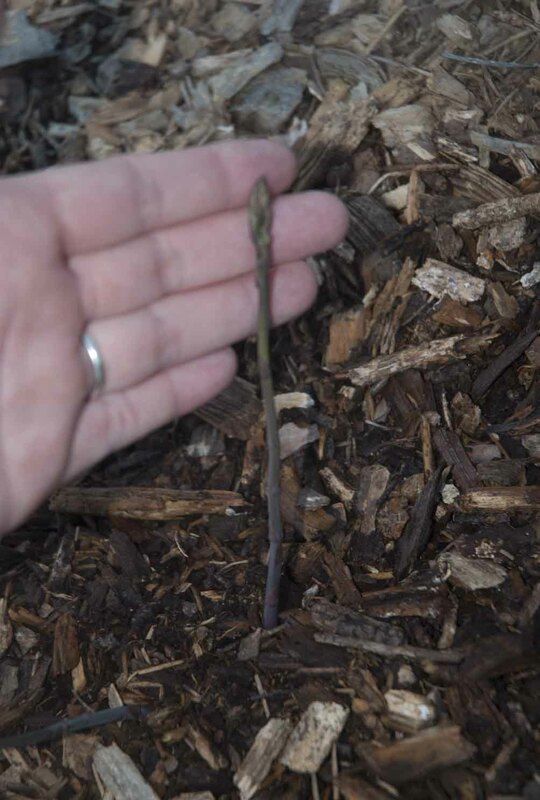 This is the first one I planted and it has started sprouting! I finished most of my TO DO list for March (plant potatoes, plant all of the greenhouses, plant cool weather seeds). All we lack to do is expand the chicken runs. For April, the TO DO list is pretty straight forward. PLANT, PLANT, PLANT and then plant some more! Our last frost date is April 21st. I have planted everything early because we have had an incredibly warm spring so far. Of course this week, some of our nights are dropping below freezing. Wonderful. I am going to cover the transplants with tops of milk jugs and hope for the best! Check out what others are harvesting at Our Happy Acres today! 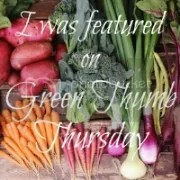 This entry was posted in Garden and tagged apple, asparagus, blueberries, brassicas, carrots, lettuce, peaches, pears, peas, potatoes, raspberries, spinach, strawberries on April 4, 2016 by newbiegardengirl. 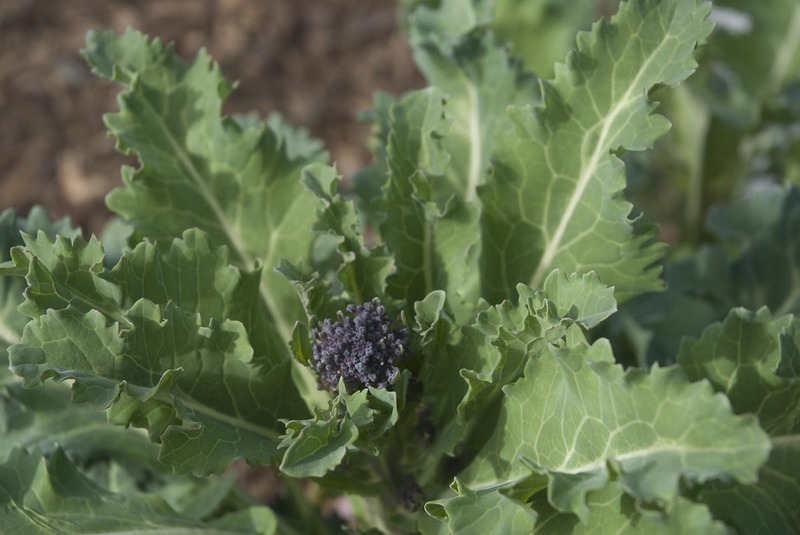 And a few purple sprouting broccoli survived the winter under minimal protection. Peas, beets, carrots, spinach, and lettuce have all been planted but it will be awhile before we are able to harvest anything from the spring garden. The raspberries and strawberries are doing well. 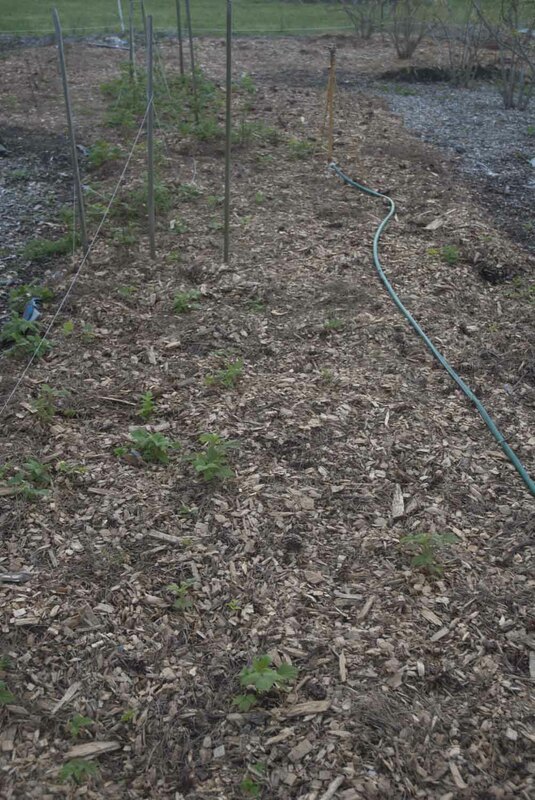 The raspberry patch is newly mulched, keeping the weeds at bay. 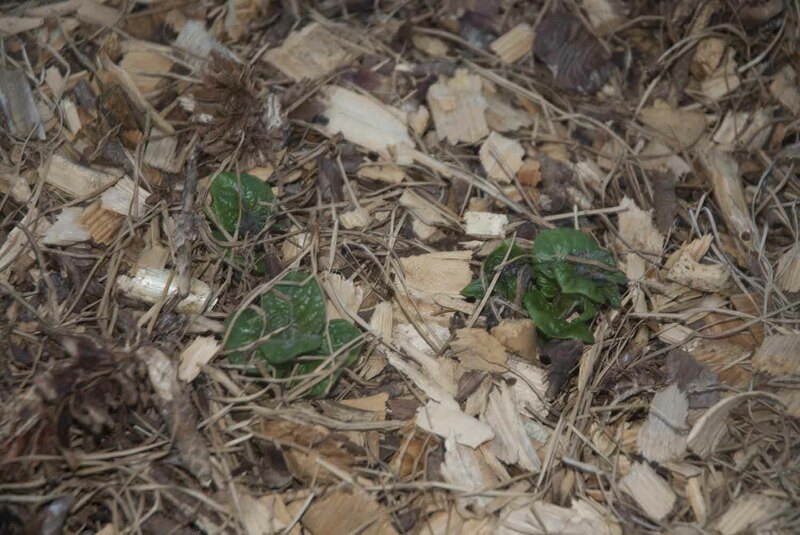 The raspberries are popping through the mulch. As are the strawberries. They are a little yellow when they first pop through from being sun deprived all winter but they green up really quickly. We already have a couple of flowers. 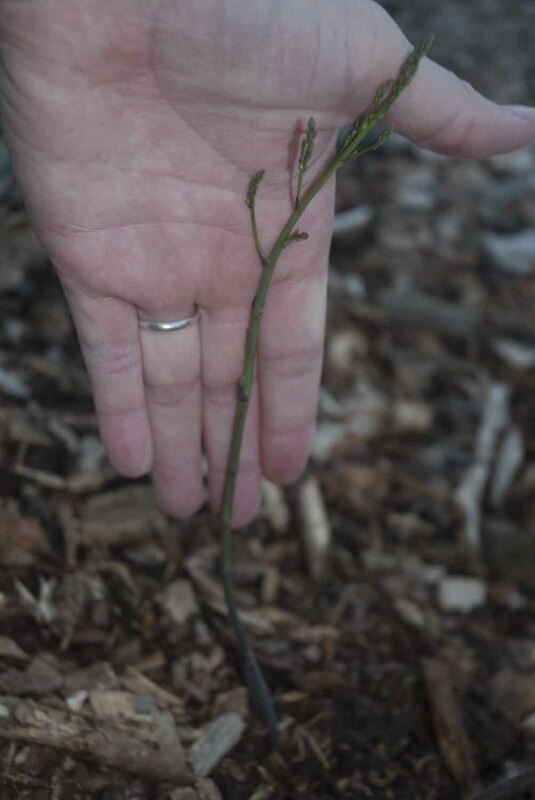 Speaking of raspberries and strawberries, I planted about 75 June-bearing strawberry plants this week and 10 June-bearing raspberry canes. 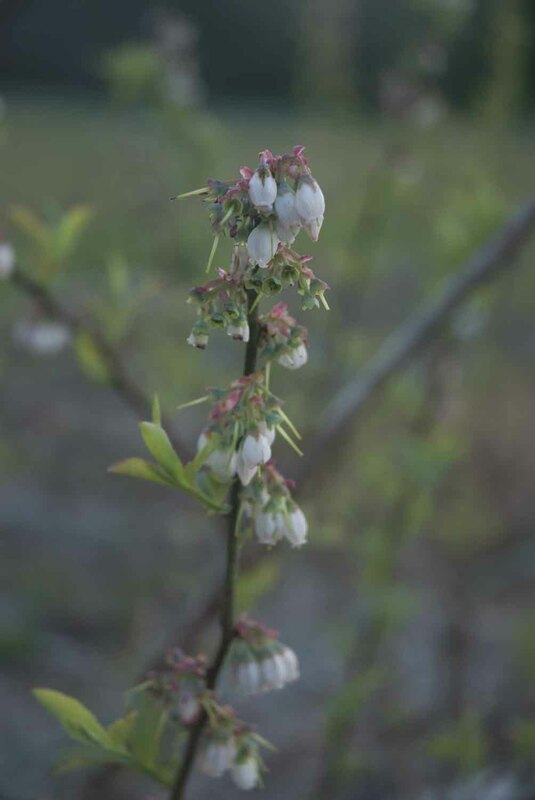 I am hoping for non-stop berries from May (possibly April) until September, starting next year. And we have a chicken sitting on some eggs due to hatch early in April. Spring is here! 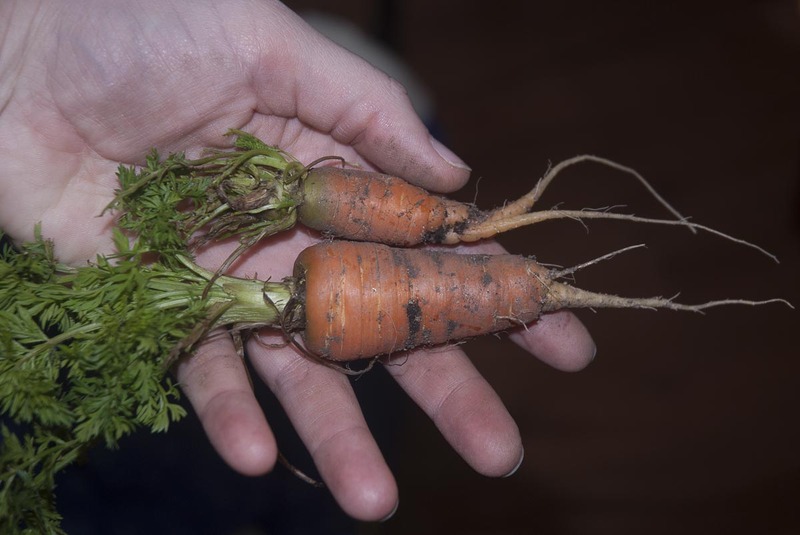 This entry was posted in Garden, Uncategorized and tagged apple tree, blueberries, carrots, fruit trees, harvest monday, peach tree, pear tree, PSB, purple sprouting broccoli, spinach, strawberries on March 28, 2016 by newbiegardengirl.